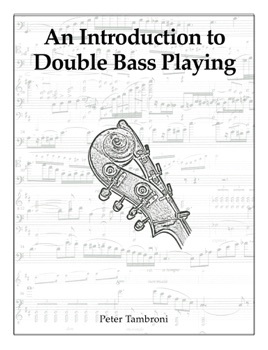 "An Introduction to Double Bass Playing" is the culmination of over 20 years of playing, teaching, studying, and practicing. 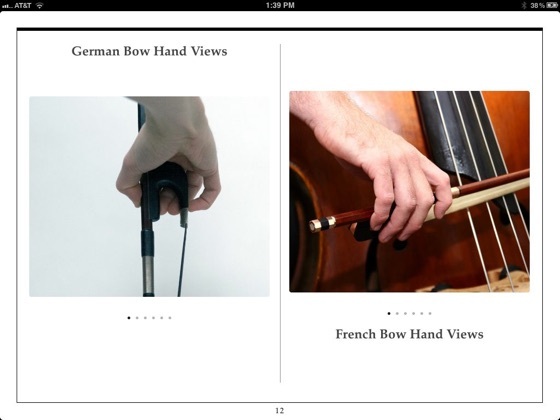 It addresses many aspects of double bass playing and pedagogy including exercises, examples, and fingerings that teachers have used over the years but never written down. 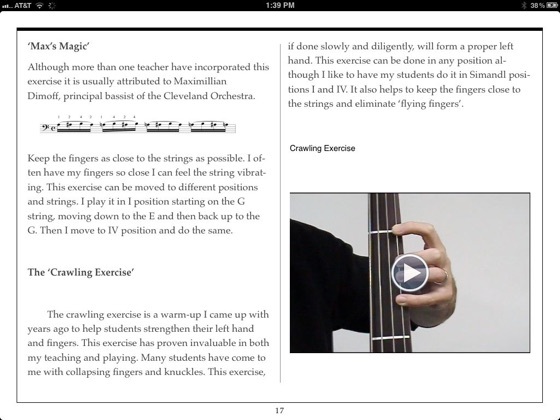 It is a resource for teachers, students, education majors, music minors, parents and anyone interested in the double bass. It is a wonderful companion for studio classes and private lessons. The Double Bassist (now The Strad) says it is "...full of sound and useful advice." I’ve known Pete for years and admire the work that he has done on this book. I’ve had the print version in my library and find it to be a valuable resource, and the additional functionality that the iPad version brings is great. A must have for any bass player, informative, a teachers bible. Searched the iTunes Store in hopes to find a book on the subject of the Double Bass. My search turned up only a few otpions & "An Introduction to the Double Bass" by Peter Tambroni is the the only offering that appears to be instructional. When I found this book I was so excited & ready to pull the trigger, but it is only available for iPad platform. Real bummer because I've got a Macbook Pro laptop & a iPhone 4 & neither are compatible. I guess this is one sale that this publisher will lose due to limited platform support.